The next closing for Prime is the 28th April 2019, invest by then to start earning interest from the 30th April 2019. Prime Agricultural Finance provides loans and leases to agricultural, horticultural and rural small businesses with a focus on renewable energy. The investment offers 6% p.a. fixed interest for a 2 year term, paid quarterly. The investment is used by Prime Agricultural Finance to offer asset and project finance with a focus on renewable energy. The Bonds offer investors a 3 step security package, including a debenture over Prime Agricultural Finance and a guarantee to cover 20% of any amounts due to Bondholders from Prime Holdings Limited. For full details please download the brochure. So how much interest and capital will I receive? It’s simple - if you invest £10,000, you would receive £600 of interest per annum. This equals £1,200 of interest over the two-year term. Interest is paid either directly into your account on the Crowdstacker investment platform or your bank account. Take a look at our interest calculator below. *Please note tax benefits are subject to your own personal tax status. Prime Agricultural Finance provides finance loans, leases and hire purchase agreements to agricultural, horticultural and rural small businesses with a focus on renewable energy. Prime typically provides project or asset finance with the total funding always capped at 80% of the asset or project value.  Crowdstacker is an award-winning investment and ISA provider, bringing you handpicked investments, many of which offer a social or community benefit. See our 6 great reasons to invest in Prime Agri Bonds. Your investment will be secured over assets, property and undertakings via a first ranking debenture. The rate of return on your 2-year investment is 6% per annum. Interest from your Bond is paid either directly into your Crowdstacker account or your bank account. Your investment is for a 2-year term. On maturity, you are entitled to the return of the original capital in full. There is a facility on the Crowdstacker platform that allows you to sell your Bonds to other members of the Crowdstacker community. Offering finance to small and medium sized agricultural, horticultural and rural small businesses with a focus on renewable energy.  Your investment is eligible to be held in an Innovative Finance ISA or can qualify for your Personal Savings Allowance, of up to £1,000 interest tax-free. When do the Prime Agri Bonds mature? How will your investment be used? You are entitled to receive 6% gross return per annum on your capital. Your interest will be paid quarterly. The minimum amount you can invest is £100. The Prime Agri Bonds are for 2-year fixed term. On maturity, you are entitled to the return of the original capital in full. You may be able to hold Prime Agri Bonds within a Small Self-Administered Scheme (SSAS) or a Self-Invested Personal Pension (SIPP). The investment will be used by Prime Agricultural Finance to provides finance loans, leases and hire purchase agreements to agricultural, horticultural and rural small businesses with a focus on renewable energy.  Crowdstacker is a Peer to Peer investment platform authorised and regulated by the FCA. Crowdstacker matches companies such as Prime Agriculutral Finance that are seeking to raise finance with investors like you that are seeking a fixed return. Your investment will be secured over assets, property and undertakings of Prime Agriculural Finance Plc via a first ranking debenture and a guarantee to cover 20% of any amounts due to Bondholders from Prime Holdings Limited. For further details, please see page 9 of the investment brochure.